It goes without saying hoverboards are one of the most interesting gifts you can get for your loved ones. Kids, adults and everyone else loves riding hoverboards because it’s fun and enjoyable. This device will give you a roller coaster ride that will keep you going. In addition, you can enjoy some really interesting feature such as apps and music features that will keep you entertained. There have been cases where hoverboards have caught fire in early days, but those days are long gone. These issues have all been addressed by UL2272 standards which ensures that all hoverboards are safe. Almost all the hoverboards you see on the market or trusted websites are under the certification of Underwater Laboratory. How long do Hoverboards last? The most common questions that people ask when they buy a hoverboard is how long the hoverboard lasts and how long it can operate on a fully charged battery. Provided you take good care of your hoverboard, it should be able last a lifetime. There are a few things that affect the battery life of the hoverboards include riding at high speed, the weight of the ride, the terrain you are riding on, how the rider handles the hoverboard, and weather conditions. When you ride a hoverboard under average conditions, the battery should last 8-20 miles on a single charge. So, it could last from anywhere from one hour to four hours depending on speed. As the batteries continue to age, its performance will reduce, thus leaving you with short ride time. You also need to know how to take care of the battery and how-to chare it. For example, you should not charge the hoverboard when temperature extremely cold or hot. 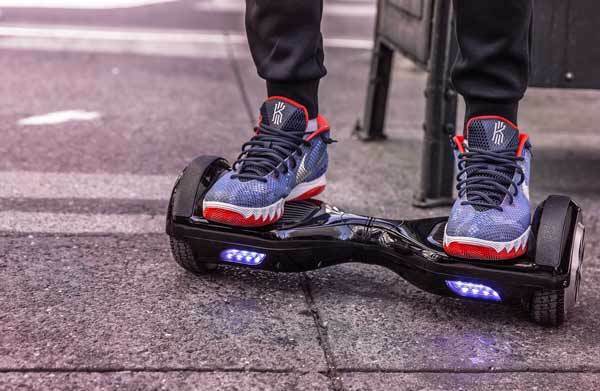 This can either damage your battery, circuit board or other components in the hoverboard. There are few things that can define the top speed of a hoverboard. They include the power of the electric motor, the wheel size, and safety choices of the manufacturer. Although there are a few exceptions, all hoverboards have a wheel size of 6.5 inches. If you are looking for a way to move safely and swiftly from one place to another without having to hop into a car, then you should consider getting a hoverboard. You will be able to cut down on electricity costs and help you save money. By getting the best hoverboard on the market, you don’t have to buy fuel as you only need to charge it and you are good to go. The best hoverboard will be able to go up to 15 kilometers on a single charge and recharging only takes one to two hours. Besides, a hoverboard is environmentally friendly. 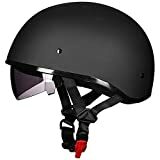 Since this device does not emit gases to the atmosphere, you can be sure that you will not be polluting the environment when riding it every day to work. You will also be able to learn a new skill; therefore, you will be able to get out of your comfort zone. You will be able to tap into your hidden talents and capabilities. But you will have to learn how to use the hoverboard before you can start performing some tricks. But once you get the hang of it, you will enjoy the experience. If you have a hoverboard, you can be sure that you will enjoy its advantages. But you just cannot walk into a store buy any hoverboard. You have to find the best hoverboard on the market. When looking for the best hoverboard, you need to consider a number of factors. The first and most important factor is the size of the wheel. The average wheel size for hoverboards on the market is 6.5 inches, but you can find some on the market that has 8 inches and even 10 inches. Bigger wheels offer more stability and you will have an easier time getting back to the standing position. Another factor you need to consider the maximum weight of the hoverboard. Most hoverboards have the ability to handle more than 100 kgs. But on the same point of weight, you need to consider the weight of the hoverboard itself because you may have to carry it around. The quality of the hoverboards is also important because there have been cases in the past where hoverboards overheat and catch fire. So make sure that you find the best quality hoverboard that cannot result in this. Now that you have all the information you need to know, get ready as we take you on a journey where you will equip yourself with knowledge about hoverboards tricks and tips to make your experience amazing. Riding a hoverboard is not rocket science, but you need to practice learning how to use it properly. Once you have learned how to step onto the board, how to shift your body backward and forward to move in corresponding directions, and how to dismount safety, you will be ready to take your hoverboarding skill to the next level. The ten hoverboard tricks we are going to discuss here are fun to do, and they not look impressive but also incorporate seamlessly into your hoverboard dance routine. Let us start with easy tricks. This one of the most challenging tricks you can ever pull as you are required to quickly shift your weight while maintaining balance. While performing this maneuver, you will have to move from forward to backward in a quick manner, which makes it look like you have bounced backward. If you want to do it correctly, you will have to keep your knees bent and ensure that your weight is on the hoverboard. You will also want to start off slow as this will help you to know what to expect as you work up to do the tricks at full speed. Another impressive tricks you can perform on your hands-free hoverboard are turns. In some of the most popular dance videos, performers have learned and mastered the art of executing a perfect turn while making forward and backward movements. It is actually a lot easier to do this that you can imagine. To perform this trick, you must first learn to turn on your hoverboard from a standing position. So, just shift your weight into one foot as you press forward with the same foot and your opposite foot shifting slightly backward. The hoverboard turn will then begin. In this trick, you will find yourself facing the front and turn yourself about halfway to finish facing back. This is an extension of the above 180-degree turn. The same methodology is used, but this time you will have to turn around halfway so that you start and end facing in one direction. When you master the art of turning, you will have started on the right note. Choose a street that is flat and long and start moving in the forward direction. Shift your weight to perform a turn without stopping. If you perform this turn, you need to do a complete about-face and proceed in the direction you were facing after the trick. The lean back turn will add a rhythmic twist that 360-degree turn. In addition, it gives your spin that speed you need and makes it a lot easier to more than one rotation on your hoverboard. To perform this trick, you need to stand on your hoverboard and start executing your turn as you would in a 360 turn. But this time, you will have to add a bed to the leg that’s on the inner side of the turn and then press the leg to the outer side out straight such that you are leaning in the spin. When thus turn gets going, don’t pack in case you go more than one turn. You will gain speed as you continue; therefore, you can rotate 2x or 3x without much effort. Besides turning, you can also try the hoverboard swivel which looks cool and is an amazing compliment when it comes to dancing choreography. This trick can be performed while moving backward or forward. To do this, you will have to shift your weight from one side to another kind of in a figure eight motion. You will realize that your board feels like turning but you will have to shift your weight first before it moves. This is another exciting trick you can try, which basically involves copying what a celebrity did on a hoverboard. For instance, you can choose to ride your hoverboard like Justin Bieber and dress like him. Watching the videos will help you practice some of the stunts he pulls, and you will be able to master them. To perform this truck, you will have to sit on the hoverboard, and with your bum now resting on the foot sensor and feet which rests on the wheel protection, just tilt sideways so that hoverboard can start spinning. In addition, you shouldn’t forget to hold your knees with the help of your hands. Most importantly, you should keep your legs open to get the balance needed to pull this stunt. This is a very easy trick to perform. All you have to do is to be confident when balancing; otherwise, it might be difficult for you to perform it perfectly. You will start by spinning and when you achieve the balance, try to figure out which side of the board you’re more comfort spinning. Then start spinning in that particular direction and once you are comfortable enough, take one foot off the hoverboard and place it neat the first one. Just relax and keep your balance in one place. When you do this, performing the trick will be a lot easier for you to perform the tricks. In order to ride the hoverboard well, you will have to plant your feet on either side. With that said, to take your hoverboard tricks a notch higher, you can perform a turn with both feet on the board. In order to do this, you will need spinning and forward momentum before shifting your feet to one side. To pull this trick, you require a lot of balance, but if you get it right, it will look really cool. Acrobats and gymnasts are adding a handstand twist to hoverboard tricks. If you can do a handstand on the ground and can achieve unshakeable balance, it’s possible to take this to the board and so some impressive tricks. You will have to do both a handstand and try to walk on your hand to get in the perfect position on your hoverboard. There are many tricks you can perform on a hoverboard, but the most important thing is to get a good quality hoverboard and ensure that you wear protective gear when riding and performing tricks.